Huge Selection of Bodycraft Strength Systems and Home Gyms in Ontario, Canada! 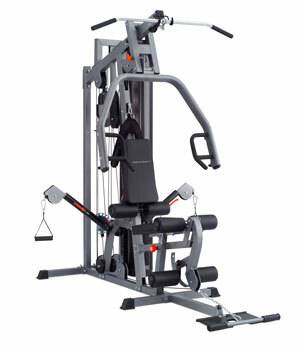 We endorse the BodyCraft® brand of quality fitness equipment. Bodycraft was founded in 1994 on three simple foundations: delivering a high quality product for the consumer; making every machine fulfill multiple purposes; and putting it all together at an affordable price. Bodycraft's passion is to create the ultimate in safety, variety, design, and affordability. Every Bodycraft machine is built to fulfill each of those purposes! We have been using and recommending the Bodycraft product for about 15 years, and have helped hundreds of families achieve a higher level of health and wellness through their innovative and unique fitness tools. And with over 12 Bodycraft machines on display in our showrooms, and about 7 pieces in our own home, we have good reason to put our trust in Bodycraft. TESTED, TRIED AND PROVEN! While Bodycraft's designs have often been accepted as standard in the fitness industry, their ideas are proprietary and protected by patents. When you purchase a Bodycraft System from us, you’ll never have to worry about quality - no matter how much you use your equipment, it’s built for a lifetime. Bodycraft never compromises quality for price, and their warranties are proof of their commitment to you! Don’t be fooled by a copy – only a Bodycraft machine is built to last. The Home Gym That Changed an Industry! 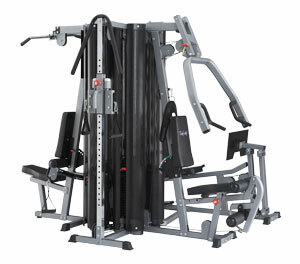 The XPress Pro created a whole new category of Home Gyms. 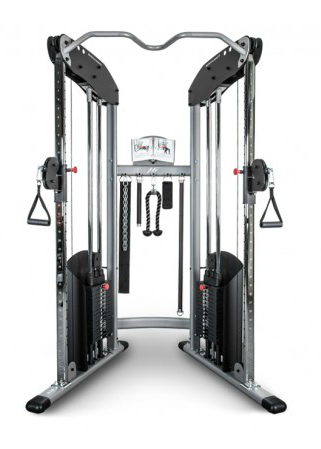 It was the very first gym to ever incorporate our Adjustable Cable Arms. The XPress Pro is the standard; copied, but not duplicated! Top quality, easy-to-use, and value priced! The Galena Pro's corner design is discreet and attractive, but still offers a wide range of exercise positions for the home user. This Multi-Station Strength System takes up very little space, but provides exercises for your entire body. The weight stack is mounted at a space-saving 45 degree angle for easy access. Tons of exercises, yet compact size! 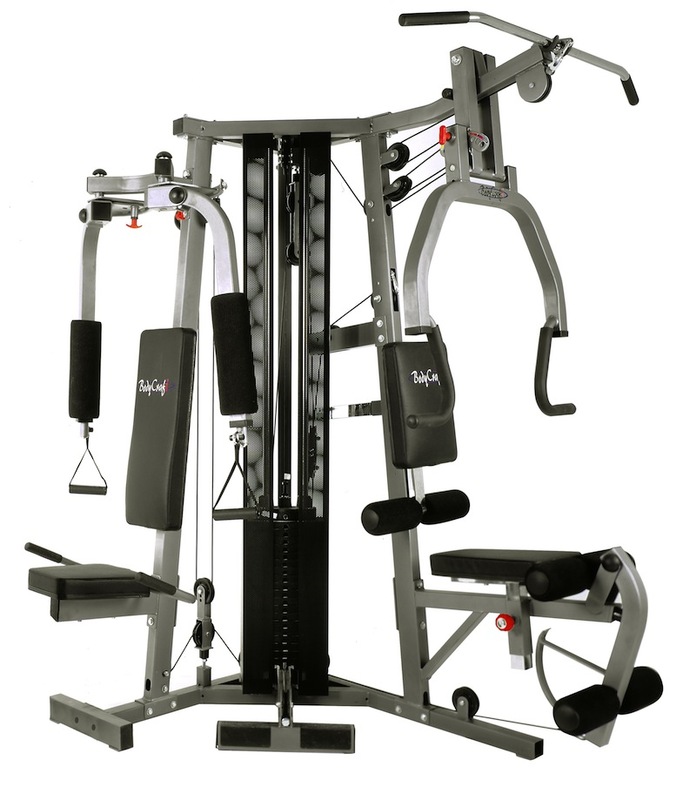 The BODYCRAFT X4 is a Four-Weight-Stack System which can accommodate up to four simultaneous users! The X4 is an excellent family gym, so people can work out together for more fun and motivation! 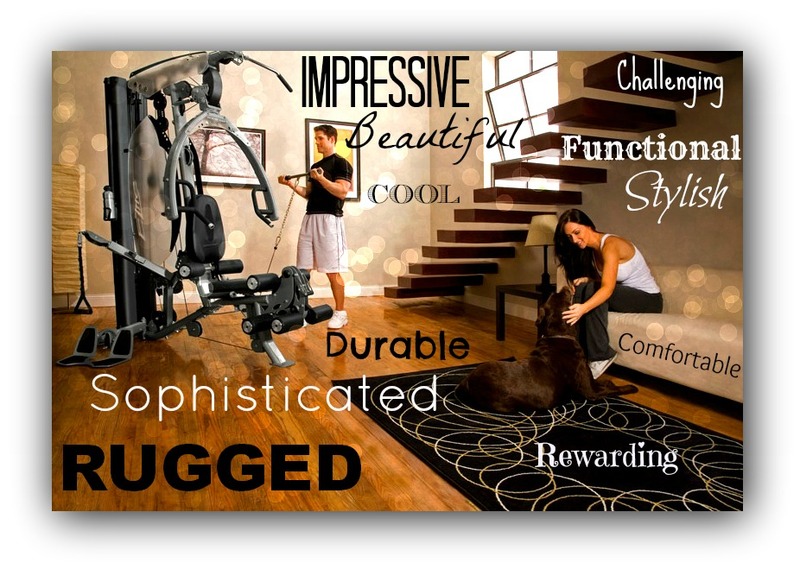 Loaded with unique features found only on this home gym! Extensive thought went into this gym - our goal was to include benefits traditionally only provided from free weight training combined with the simplicity and safety of a home gym. Our customers agree that we succeeded! 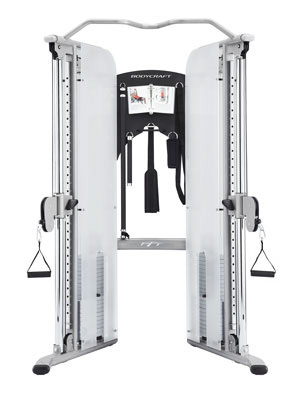 For your day-to-day life, sports, or leisure activities, the BODYCRAFT PFT allows you to train the way you move. You define the path of motion allowing you to strengthen every part of your body for the way you want to live. It's that simple. Whether the motion is for Strength Training, Sport Specific, or maybe it's a motion you perform at work or during leisure activities, the BODYCRAFT HFT allows you to train the way you move. Dynamic movement meets safe training! 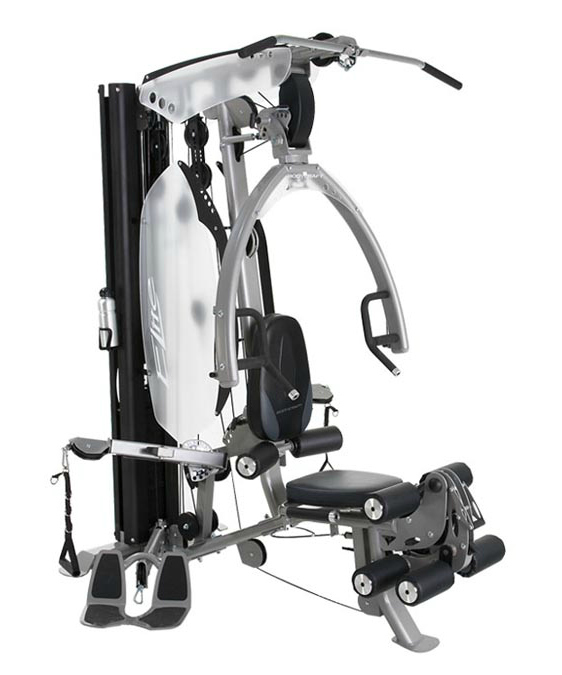 The Jones Platinum with Full Body Trainer Attachment was designed to move with the natural movements of the human body. The machine follows the movements of your body as opposed to your body following the confined movements of the machine. 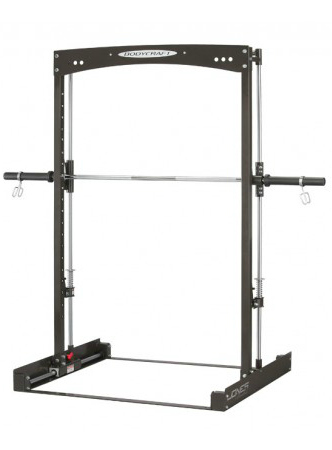 Our patented barbell motion provides for an almost unlimited array of exercises. Smith Machines only move vertically, not allowing for natural body movement. 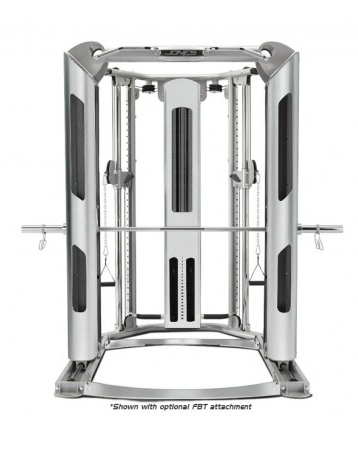 The Jones moves both vertically and horizontally, allowing for unlimited, user-defined motion! If we don't have the Bodycraft unit you want in this list yet, don't despair! 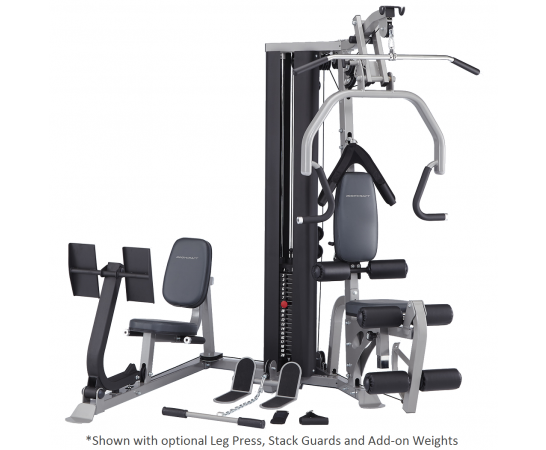 Give us a call @ 1-800-695-7338 or email us at: info@leggefitness.com to find out if we have it in stock in one of our stores!